Anything can seem real with video screenshots taken at the right time combined with one's active imagination. But how real is real? 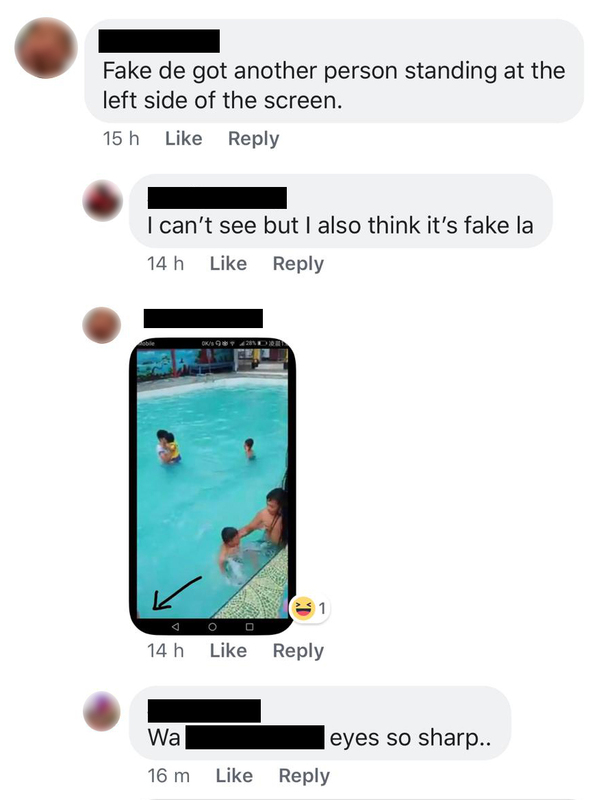 Eiyna Sharina, a Facebook user in Malaysia, recently posted a video showing a young boy struggling in the water of an unidentified swimming pool. Eiyna's post on Oct 4 was captioned: "The boy had to be pulled up... he was going to drown. Luckily his father carried him..." and accompanied by screenshots that highlighted a 'mysterious' hand on the toddler's leg. The hand clearly did not belong to the boy or his father, and seemed to have emerged out of nowhere. 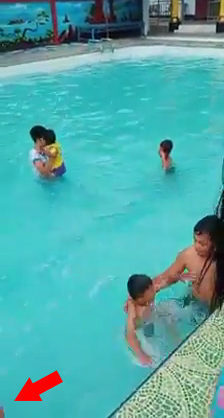 Eiyna's post, which seemed to imply that the 'ghostly' hand was responsible for the boy's mishap, has since garnered over 28,000 comments and almost 250,000 shares. Naturally, many netizens also came to the same unfounded conclusion. Finally, on the same Facebook thread, user Rezha Habibulah posted a longer version of the video revealing who the mysterious third person was. The father and son can also be seen smiling afterwards. Mystery solved, fake news debunked.